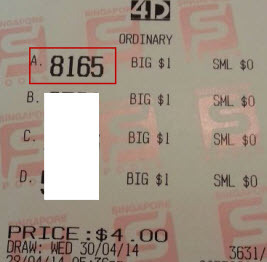 Yes, another direct winning ticket from Win4D Advance User. He took the numbers from the Hot direct to play. You can also win, get Win4D Advance now, call 92300837.